There are many individuals and businesses out there that own multiple dwellings and rent them out to tenants. These individuals and businesses will want to cover these dwellings under a dwelling/fire and/or a commercial policy if it fits. This policy will cover the dwelling itself, any detached structures, personal property in the dwelling that is owned by the owner can have coverage added, loss of rents and landlord liability and medical payments to others coverage. In the case of a wind storm, a hail storm, etc. the structure and personal property that is damaged would then be covered under such policy. The agent will do a replacement cost of the dwelling and any detached structures to ensure that they are covering the dwelling at 80-100% of replacement cost value. The replacement cost value is the cost it would be today to replace the dwelling with like materials and labor. The agent and insured want to verify that these numbers are adequate, otherwise, in the case of a claim and the house is underinsured, there can be a coinsurance penalty. When looking at the other side of things and who is actually occupying the dwelling(s), the tenant should have a renter’s policy in place. This renter’s policy will cover the personal property of the renter, additional living expense and loss of rents coverage, personal liability and medical payments. It should be both the owner’s duty and the renter’s duty to make certain that they both have the correct coverages in place. Also, the owner should confirm that the rental contract requires that the tenant must carry renter’s insurance in the case of a claim so if there is a claim, a fire for instance, and the tenant is found liable for the fire, the renter’s policy would come into place for coverage. The owner does not want to have the misfortune of having a claim by the tenant who has no coverage and who does damage to their dwelling. In short, if you are a landlord, make sure that you and your tenants have the necessary insurance coverage in place and that you ask for renewal policies each year to have on file. Every winter season, as soon as the temps drop, a large number of “Snowbirds” leave their Minnesota homes for the gentler climates of Arizona. You may be familiar with this group or may even be lucky enough to be a Snowbird yourself. 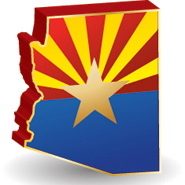 The agents at Citizens Agency can now write the insurance for your Arizona seasonal homes, mobile homes, autos and golf carts. Snowbirds have come up with some practical habits for maintaining the nest left behind. It’s important to have a checklist of items to think about when leaving your home for extending periods of time, making your migration as smooth as possible. Unplug all electrical appliances, except the fridge. Turn down thermostats, but not completely off. A good temperature is about 55-60 degrees depending upon where you live. Secure all water sources: turn off all faucets, make sure drains are clear and turn off the supply valve to toilets and washing machine. Don’t make your absence obvious – i.e. stop newspaper and mail delivery, use lamp timers and don’t announce it on Facebook. Forward bills and notify credit card companies so that charges don’t appear suspicious. Take care of doctor appointments and prescriptions before you go. Make sure your smoke alarms work and have fresh batteries. Ask a trusted friend or family member to check on your place periodically. Make sure your driver’s license and/or passport won’t expire while you’re gone. 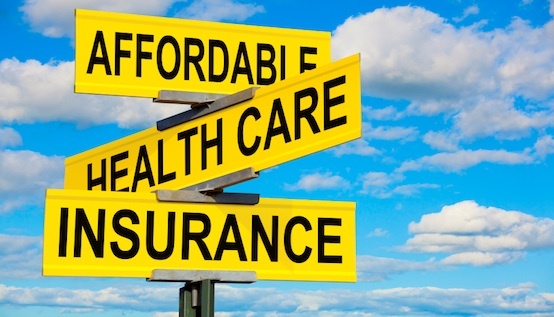 The Changes In The Health Insurance Industry And What It Means For You! With January 1st, 2014 coming right around the corner, there are a lot of changes that are going to begin that day in the health insurance industry. One of the main questions is: What are the Essential Health Benefits under the Affordable Care Act? The following 10 essential health benefits are the minimum that is going to be required for all plans that are offered by MNsure, and for those plans that are offered off of the exchange by the health care companies; for example, Blue Cross Blue Shield or Health Partners. Services and devices to help you recover if you are injured, or have a disability or chronic condition. This includes physical and occupational therapy, speech-language pathology, psychiatric rehabilitation, and more. Preventive services including counseling, screenings, and vaccines to keep you healthy and care for managing a chronic disease. Contact Citizens Agency today to discuss this or any other insurance questions you may have! 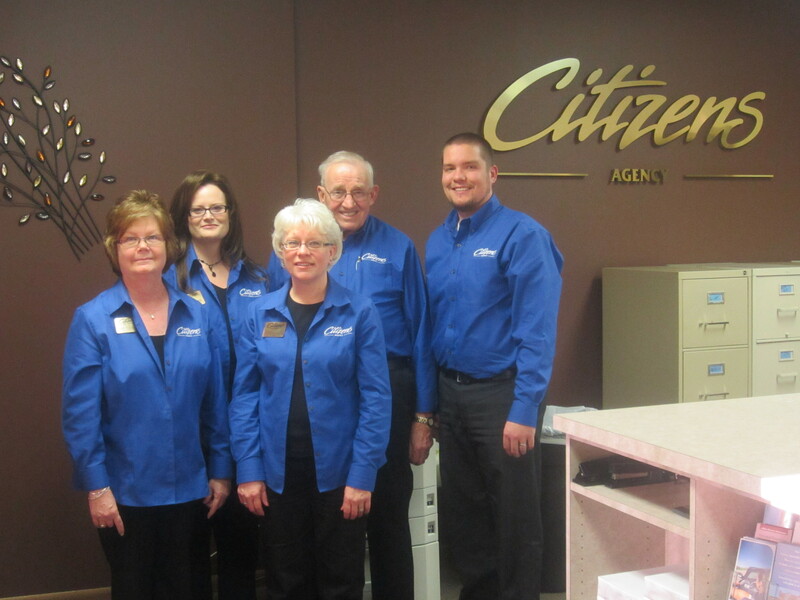 I would like to extend a heartfelt “Thank You” to all of the Citizens Agency clients and New Ulm Chamber Members who were able to attend the Citizens Agency Open House and Chamber After Hours event. It was a great success with an incredible turnout. We are looking forward to this new year and are excited to continue business with our current clients and to also build new, long term relationships with new ones. I would like to thank Lou Geistfeld and the rest of the Citizens Bank Minnesota team for all of their support and help with the Agency event! We were able to visit with many of our current clients who were able to attend and also with individuals from the community. I would also like to thank Chamber Director Audra Shaneman, and Vice President of Business Affairs Jenny Eckstein for organizing the Chamber After Hours for the Agency and Topher and Mary Jacobson from Artisans At The Grand for the great food they supplied! I am very excited to be working with the fantastic team that we have here at the Agency: Beth Walters, Deb Raschke, Apryl Folken and Terry Prange. This Agency team has over 110 years of experience in the insurance business, are very knowledgeable and committed to service. Please stop into Citizens Agency any time with your questions. If you are not currently one of our clients, we would love to build a relationship and help you with all of your insurance needs. long term relationships with new ones. I would like to thank Lou Geistfeld and the rest of the Citizens Bank Minnesota team for all of their support and help with the Agency event! Fall is here and with it brings the start of harvest season. This year, we again experienced a variety of weather in our trade area, with an early spring that provided the opportunity to plant unseasonably early. The planting conditions were ideal in early April and then came some rain that caused delays in planting. However, that early rain was a godsend, as it provided us with much needed moisture. From spring on, our rains were extremely spotty and as our summer progressed, the dry conditions persisted. In fact, most of the significant increase in our corn and soybean prices which, depending if you are a producer or user of these commodities, has made raising livestock profitability extremely challenging. I want to briefly discuss some things to remember with this year’s harvest. Crop insurance may be a significant source of income and protection for you for your operation this fall. As you are combining your corn or soybeans, remember to keep accurate load records of the bushels harvested off of each field for reporting purposes. Bin measurements are also important. If possible, do not co-mingle grain as it is harvested. If you must do so, please take the time to mark your bins so that accurate measurements may be taken if a loss is incurred. When harvesting, if it is apparent that your crop may not meet your guarantees for each unit, please take the time to call your agent and report a probable loss. If it is necessary to leave test strips, they should typically be four rows wide and the length of the field. A test strip should be left for every twenty acres in the field. If the grain being harvested is being directly hauled to town, then scale tickets will provide satisfactory evidence of your production. Please remember to identify on the scale ticket the farm where the grain was produced. Please feel free to call us with your questions regarding your crop insurance. As the harvest season begins, keep accurate records and report bushels harvested once your harvest is completed. Above all, take time to be safe and not take chances that could jeopardize your safety and that of those around you. Thank you for your business over these many years and we look forward to continuing to provide service to you in the future. Life Insurance is a way to protect your family in the event of an untimely death with future financial support. One way to protect your family’s future is to purchase Mortgage Life Insurance. It is a type of insurance that is designed to protect a family’s home in the event that the borrower passes away. If a policy is in place while the borrower/mortgagor passes away, the outstanding balance of the mortgage will be paid by the policy. This type of policy is not the same as a traditional life insurance policy. A traditional life insurance policy pays a death benefit to the surviving beneficiaries when the named insured passes away. The Mortgage Life Insurance policy only pays out if the policy is in place while the mortgage itself is still outstanding. There are two types of Mortgage Life Insurance policies that are typically offered. The first being decreasing term insurance and the second being level term insurance. Decreasing Term Insurance: A type of life insurance where the death benefit on the policy decreases over the term of the policy. This amount typically matches the mortgage loan term. The premiums are fixed throughout the life of the policy even though the death benefit decreases each year. The premiums are usually lower then a Level Term policy. Example: A married couple with three children has a $250,000 mortgage for 30 years; you should get a 30-year term life insurance policy in the amount of two hundred and fifty thousand dollars which names your spouse as the beneficiary. In case of your death, your spouse can pay off the mortgage, and your family does not lose the home. Level Term Insurance: A type of life insurance where the death benefit on the policy stays the same or level for the life of the policy. The starting amount typically will coincide with the mortgage balance and unchanged throughout. The premiums are usually higher then a Decreasing Term policy and stay the same throughout the life of the policy. Example: You are married and have purchased a new home with a mortgage of $150,000 for 20 years; you should get a 20-year term life insurance policy in the amount of one hundred and fifty thousand dollars which names your spouse as the beneficiary. In the case of your death, your spouse can pay off the mortgage, your family does not lose the home and there may be some money left over for the beneficiary. Could you use $4,000 for College? Citizens Bank Minnesota has paid out $104,500 in awards since 2000 with their Scholarship Program. Citizens awards two or more scholarships each year to local graduating seniors who will be attending post-secondary education. Scholarship Management Services, a division of Scholarship America of St. Peter, performs the selection process and administration. This program was instituted at Citizens as a way to show our commitment to the community and our belief in today’s youth. Citizens plans to continue this tradition for years to come! Applicants for the scholarship program must be high school seniors, who plan to enroll in a full-time undergraduate course of study at an accredited four year college or university in the fall following graduation. This program’s requirements include that the student be a customer of Citizens Bank Minnesota with an open and active checking account. The applicant must also attend the required educational banking classes before applications are distributed. Students applying for the scholarship are required to attend the ‘Real Life 101’ seminar. This seminar focuses on teaching valuable lessons in banking. The classes include Personal Finance, Loans and Credit, Investments, Insurance and Online Banking tools. The classes include lecture as well as real life examples, such as how to work a budget, what is needed to apply for a loan, and various investment options to name a few. Scholarship awards are $1,000.00 each. Awards may be renewed for an additional three years, on the basis of satisfactory academic performance and maintaining full-time enrollment. Applicants not selected for the scholarship awards will be entered into a drawing to win some fun prizes. Not all applicants will be selected to receive an award. Interested students must complete the application they receive after meeting the bank’s requirements. Applicants are responsible for gathering and submitting all necessary information. Applications are evaluated on the information provided; therefore, the applicant must answer questions to the fullest extent possible. All information received is considered confidential and is reviewed only by Scholarship America. Applications must be completed and postmarked by the deadline set by Scholarship America. Scholarship recipients are selected on the basis of academic record, potential to succeed, leadership, participation in school and community activities, honors received and work experience. Students are also asked to complete a statement of educational and career goals, and submit an outside appraisal from a teacher or counselor. Financial need is not considered. Selection of recipients is made by Scholarship America. In no instance does any bank or school official play a part in the selection. All applicants agree to accept the decision of Scholarship America as final. If you are interested in this program contact Scholarship Coordinator Missy Marti (mmarti@citizensmn.com). Our first Real Life 101 seminar for 2010 will be held Tuesday, December 28th in New Ulm.